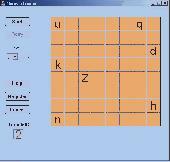 You can improve your inteligence and IQ test score with this set of programs. It is based on a complex training algorithm that helps you train your intelligence, memory and ability to take different IQ tests getting high scores. A+ Quiz & practice questions By ProProfs Quiz School. Provides a free dynamic A+ practice questions. A+ practice tests includes explanations, custom A+ practice questions, A+ quiz tips, quizzes and reports. Test your smarts with General Knowledge Quiz where you will be rewarded with fun and knowledge. This game is a stage-by-stage challenge where you are required to answer a total of 10 questions each round. How much do you know about history? Find out in this fun History Quiz. Answer 10 multiple choice questions on history. If you get 70% correct you progress to the next level. Personality quiz amazing in its accuracy. The program analyzes sequence of colors that you choose during the test (your choise is based on your current subliminal state). It is one of the most accurate personality tests for today, give it a try. Very accurate quiz based on color selections. Tests your psychological state. It is based on Luscher color personality test, that is extremely precise. You just select your favorite colors and see your existing psychological situation. 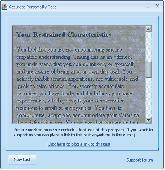 Quiz Builder enables you to create educational quizzes in Flash(SWF) format that can be used on a website, as standalone EXE file or Word document. IQ Proxy (IQP) is a robust and secure forward/reverse proxy server solution for Windows. Featuring the most scalable server engine with up to 10,000 simultaneous connections for both filtering and caching content proxy and securing and accelerating reverse proxy. Quiz Maker Free lets you create custom online tests of any size. The customizable features include Questions and Answers Choices along with their respective Solutions. ExamJet Quiz Maker is an advanced test and quiz management software. It gives you all the necessary tools to create and publish test and quizzes, receive comprehensive reports and analyze them. The Fast Quiz is a program for creating closed type exercises.Create exercises true-false, matching, multiple choices, and word completion.Create two different types photo quiz.Save your students and your classes. Wondershare QuizCreator is a professional and powerful quiz and survey maker that enables ducators, trainers, researchers and more to create Flash-based quizzes, tests, surveys and assessments, with no programming skills required. Play the best game in the world, while developing your mind. Mental transformations increase your IQ. 20 levels, 5 real levels of difficulty and 3 modes. Play standard, play upside-down futrix, play towers. 14 days Free trial. Quickly make quizzes for the web, worksheets, for phones, palms, and pcs. Write a quiz and have the results sent through SMS to your phone. 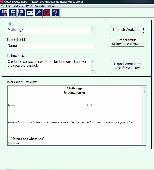 Write a quiz and have the results sent by email to your email account. Set categories, time and types. IQ is a complete BIS tool that provides you developing complex, reusable, nested usable, dynamic reports and analyzing documents. IQ Power is the uniquely scientific approach to intelligence testing that excludes prior problem solving knowledge by making the method freely available to the examinee. Watu Quiz is a powerful marketing tool for web publishers. The Multiple Choice Quiz Maker is an easy and time-saving authoring kit to produce tests and quizzes for the inter- or intranet. MB Free Astrology Quiz is a Vedic Astrology oriented educational tool that helps you test your skills in the basics of this subject. Math Quiz Creator allows a parent or teacher to create custom math quizzes with just a few mouse clicks. Iq test similar to Mensa's IQ test. Quiz Extreme is a complete quiz management system.